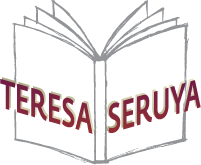 Teresa Seruya was born in Lisbon in 1950 to Victor Mark Seruya and Maria Amélia de Seabra Menano Seruya. She is married to Joaquim Manuel Lima Carvalho, Emeritus Professor at the Faculty of Fine Art, University of Lisbon. She completed her high school in Lisbon in 1967 with a final mark of 16 (out of 20), and entered the Faculty of Letters, University of Lisbon in the next academic year (1967/8) to study German Philology. She completed her degree in October 1974 with a grade of Good (15 out of 20). In 1973/4, she studied at the University of Munich with a DAAD scholarship, preparing her licentiate dissertation on “History and Discourse in the Novel ‘Das Vorbild’, by Siegfried Lenz”. In May 1987 she obtained her PhD in German Literature at the University of Lisbon, with a dissertation entitled Discourse of Revolution in German Literature of the Weimar Republic: Contribution to the Study of the Literary Reception of the German Revolution of 1918/9. Her complementary examination was on Christa Wolf’s narrative “Kein Ort. Nirgends”, which she passed with distinction. In 1972/3, she was invited to teach German Literature II at the Faculty of Letters, Lisbon, and in October 1974 became a junior lecturer (‘Assistente’) at the same institution within the Germanic Studies group. After concluding her PhD, she continued to lecture with the same Germanic Studies group, but now at the higher rank of Professora Auxiliar (1987 to 1992), acquiring tenure in May 1992. Between 1987 and 1989, she was responsible (together with Fernanda Gil Costa) for setting up the Education Branch of the degree course in Languages, Literatures and Cultures at the Faculty of Letters, University of Lisbon. In November 1992, she was promoted to Senior Lecturer (‘Professora Associada’) in the 3rd Group, a category she occupied, with tenure, until 2001. She achieved her Habilitation for the 3rd Group (Germanic Studies) on 8th January 2001 and was appointed Full Professor later that same year. She directed the Degree Course in Translation at the Faculty of Letters, between 2001 and 2005. From 1993 to 2003, she also taught at the Catholic University of Portugal, upon invitation. She was a researcher with the Centre for Portuguese and Brazilian Literature and Culture at the Catholic University of Portugal from 1998 to 2006, later becoming a director of that Centre. In 2007, she moved to the Centre for Communication and Culture Studies (CECC) at the Catholic University, becoming a director in 2007 (until 2011). She directed the course of Languages, Literatures and Cultures at the Faculty of Letters, University of Lisbon, between 2011 and 2013. She is also a literary translator of German works. She has been awarded scholarships by DAAD (various times), Kurt-Tucholsky-Gesellschaft (1980-1981) and the Goethe Institute (1988).